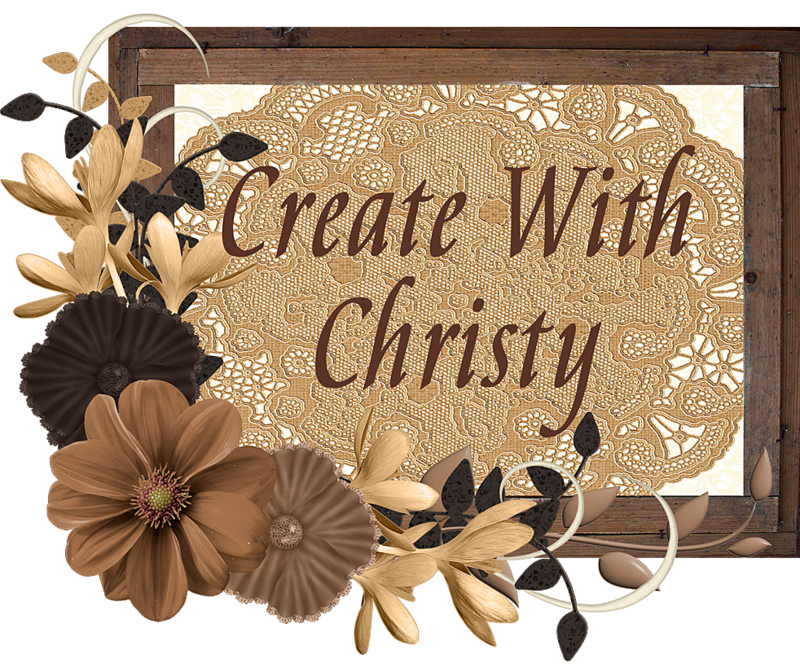 For those of you in my Create With Christy VIP Stampers Facebook Group Page, you've already seen this card. I offer card sketch challenges to everyone in my VIP Stampers Group, and this card uses this month's sketch. 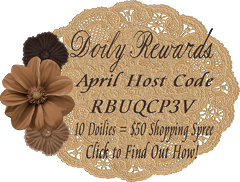 I used the new Varied Vases Bundle, Garden Impressions Designer Series Paper and Whisper White 5/8" Polka Dot Tulle Ribbon. 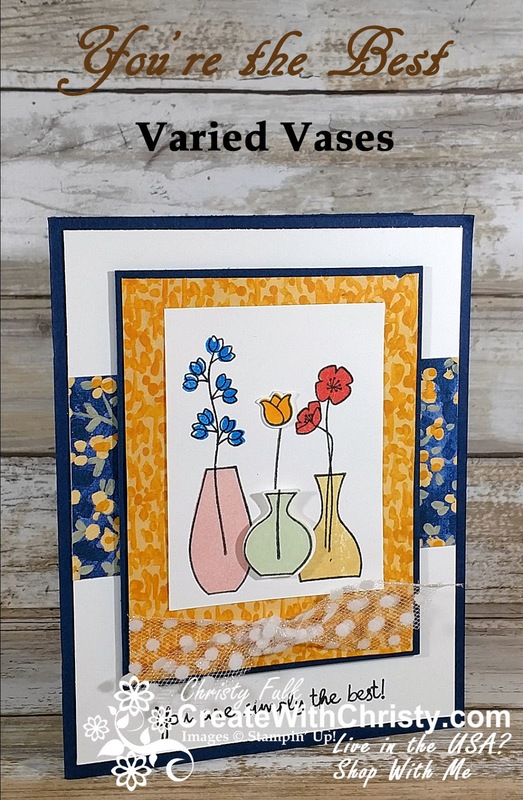 The bundle includes the Varied Vases Stamp Set and the Vases Builder Punch. Purchasing the bundle saves you 10%, compared to purchasing the two items separately. Stamp the "You are simply the best" stamp from the Varied Vases Stamp Set across the bottom, center of the Whisper White base layer piece using the Tuxedo Black Memento Pad. Attach the Night of Navy floral paper from the Garden Impressions DSP across the base layer. The top edge of the DSP should be about 1-3/8" below the top edge of the base layer. Fold the largest Night of Navy piece in half (fold on the left) to form the card base. Attach the base layer to the center of the card front. Stamp the tallest vase outline stamp onto the bottom, left side of the Whisper White main image piece using the Memento Pad. Stamp the tall floral outline stamp with the same ink pad, so the flowers are above the vase and the stem is inside. 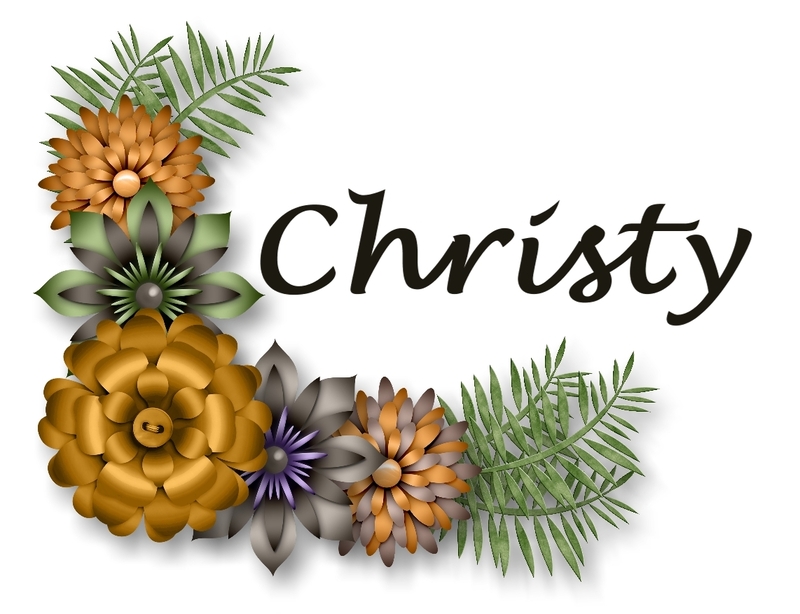 Stamp the coordinating bold floral stamp inside of the flowers using the Pacific Point Classic Stampin' Pad. 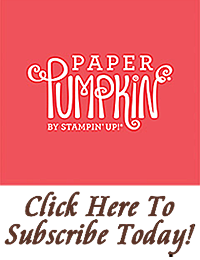 Stamp the plain, bold stamp that cooridinates with the vase inside the vase outline image using the Powder Pink Classic Stampin' Pad. Stamp the medium-sized vase outline stamp onto the bottom, right side of the Whisper White main image piece using the Memento Pad. Stamp the double-floral outline stamp with the same ink pad, so the flowers are above the vase and the stem is inside. 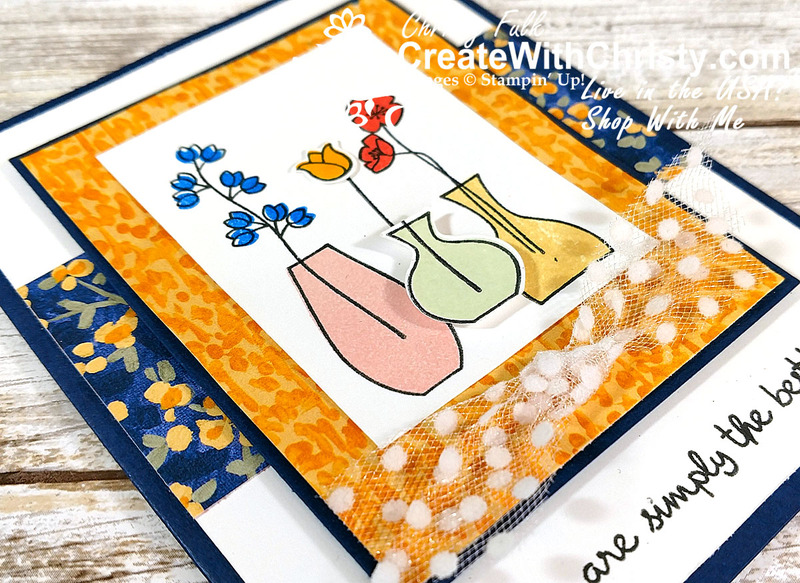 Stamp the coordinating bold double-floral stamp inside of the flowers using the Calypso Coral Classic Stampin' Pad. 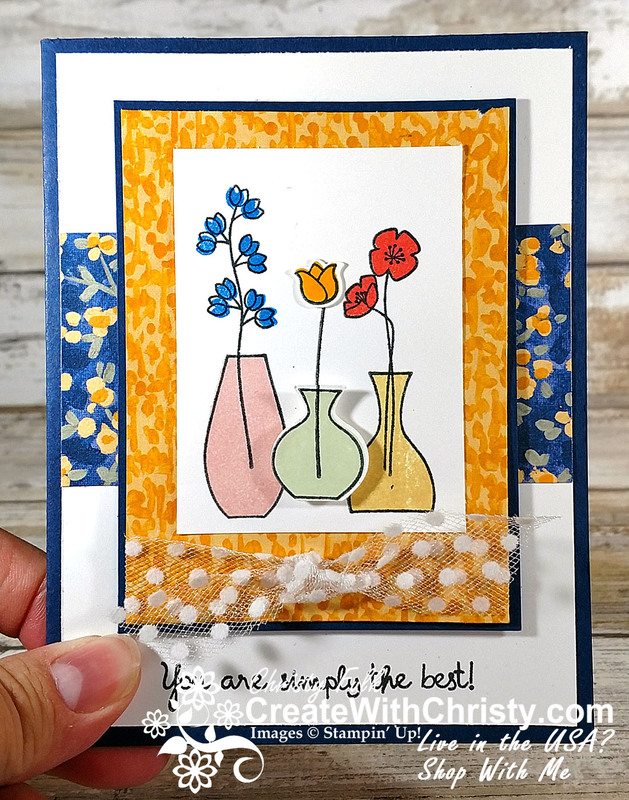 Stamp the plain, bold stamp that cooridinates with the vase inside the vase outline image using the So Saffron Classic Stampin' Pad. Stamp the smallest vase outline stamp onto one side of the Whisper White punched vase piece using the Memento Pad. 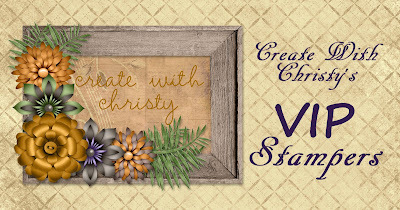 Stamp the plain, bold stamp that coordinates with the vase inside the vase image using the Soft Sea Foam Classic Stampin' Pad. Punch the vase out with the Vases Builder Punch. Lay the vase down where it needs to go on the main image piece, without attaching. 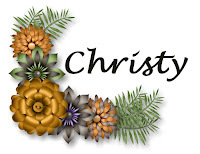 Holding the vase in place, stamp the single stem stamp so part of it is in the vase, and the other part is above the base, using the Memento Pad. Put a Stampin' Dimensional onto the back of the punched vase, and attach it to the main image piece, making sure to line the stem images up. Stamp the tulip outline stamp onto one end of the Whisper White punched tulip piece. Stamp the bold tulip stamp inside the tulip outline using the Mango Melody Classic Stampin' Pad. Punch the tulip out with the Vases Builder Punch, and attach the tulip to the top of the stem in the middle vase using a Mini Glue Dot. Attach the last DSP piece to the center of the last Night of Navy piece. Attach the main image piece to the DSP, making the DSP border around the top and sides of the piece the same width. Wrap one of the tulle ribbon pieces around the bottom of the DSP piece, attaching the ribbon ends to the back of the Night of Navy piece. Tie the other tulle ribbon piece to the center of the attached ribbon using a single-knot. Trim the ribbon ends at an angle. 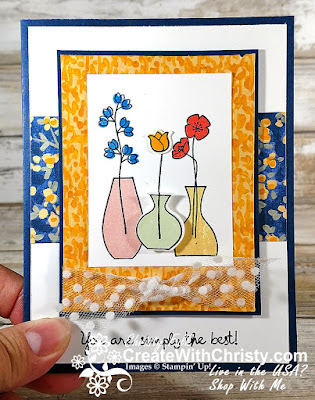 Attach the whole piece to the card base, over the DSP strip, using Stampin' Dimensionals.